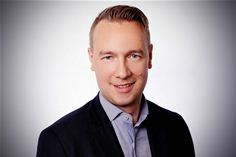 Patric Berger, new Regional Vice-President South for pan-EMEA high value distributor Nuvias Group. London, England: 14th December, 2016: Patric Berger has been appointed Regional Vice-President South for pan-EMEA high value distributor Nuvias Group. In his new role, he will be responsible for all business aspects within the Southern European region, which includes France, Italy, Spain, Malta and the Mediterranean. Berger is also tasked with growing Nuvias’ business in this area. He will be based at the Group’s French office in Versailles. Berger has the proven ability to successfully manage and deliver growth, alongside profitability, for overseas territories within a high value, international, IT distribution organisation. He previously created and managed the French entity of security value-added distributor Infinigate, and was instrumental in it achieving both profitability and an excellent reputation after only two years. Before Infinigate, Berger drove the reorganisation of Computerlinks France, where, as country manager, he led the company to become a leading value-added distributor for IT security in France. Berger holds a masters’ degree in international economics.